The widespread use of timber in modern structural applications (floor joists, roof purlins, floorboards, rafters etc.) has increased the risk that timber pests pose. If left untreated, these insects will cause significant damage, which can ultimately result in structural failure of the building. Although the adults can fly, woodworm is commonly brought into a home for the first time through the purchase of second hand furniture and can of course also cause serious damage to expensive wooden furniture, which may be antique. Woodworm is in fact not a specific species of timber pest, but a generic term for the larval stage of a number of wood damaging beetles. The Furniture Beetle, a small brown insect which is about 3mm to 5mm in length and flies quite readily, is the commonest. The Furniture Beetle lays its eggs on rough, unpolished wood and as soon as they hatch the grubs bore straight into the wood – leaving no trace until they emerge as beetles three years or so later, usually between May and September. Longhorn, Powder Post, Wharf Borer and Death Watch Beetles, the latter of which only infests large, old, hardwood beams, all have a foothold in the U.K. The first sign of woodworm most people see is neat, round holes around 2mm across in wooden surfaces, often accompanied by tiny piles of wood dust beneath them. Fresh holes show clean white wood inside. Although the holes are made by emerging adult beetles that are therefore no longer a direct threat to the structure, larvae may still be tunnelling away inside the wood. Crumbly edges to boards and to joists are also often a good indication of their presence and the need for woodworm control measures. In cases where valued, rare and expensive pieces of wooden furniture, musical instruments, decorative or structural woodwork are affected and need saving, a specialist woodworm treatment approach will certainly be needed. Woodworm in furniture can be cured with the application of the correct kind of proprietary woodworm killer, with fluid injected into key flight holes. Floorboards should be lifted to get at the undersides and the joists. If you have woodworm you will want to get rid of them. 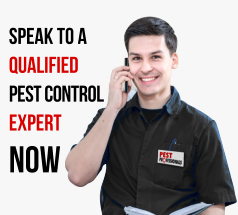 One of our experienced Pest Professionals will carry out an initial survey to establish the type of timber pest involved and the extent of the problem, before advising on the appropriate treatment. The good news is that on evaluation an appropriate treatment can eradicate woodworm completely. In the event of a heavy or difficult to eradicate infestation, we can also advise on specialist heat treatment approach. The most common timber pest in the UK. Damages furniture, musical instruments, decorative woodwork etc. Larvae live for 3-5 years in the wood. Timber pest larvae bore deep into the wood and emerge from May to September. They can be burrowing in the wood for years. Dark reddish brown. Grubs prefer to eat older, hardwood structural timbers and can live in them for ten years. Black/brown beetle not native to UK and mainly found in SE England. Infests seasoned and partly seasoned softwoods like pine. Red/brown beetle that needs a diet of starch present in certain hardwoods. Can be a real problem in timber yards. A brown beetle about 1cm long which lives in decayed wet timber. Adults often found close to waterways.